How is Search Engine Marketing (SEM) different to Search Engine Optimisation (SEO)? Search engine marketing refers to marketing a website in a variety of ways, using different types of media, such as "paid", "owned" and "earned". SEO refers to optimising a number of components of a web page, such as Title Tags, Meta Descriptions, Headings and Alt-Text, in order to rank the web page higher in a search engine - therefore, SEO is a vital part of search engine marketing! How can search engine marketing help your business win online? A professional search engine marketing (SEM) company specialises in developing a comprehensive internet marketing strategy for your business website, that includes a mixture of online marketing channels. In today's digital world, more and more people are searching for products or services and especially for traditional bricks and mortar companies, who they may visit in person, if they like the look and message that your website portrays. The best way to market your company online is to diversify the channels you use and to not become overly reliant on just one, such as SEO, Pay-per-Click (PPC) or social media. A search engine marketer will discuss your business objectives with you and then suggest which platforms and channels may give you the highest return for your marketing investment. 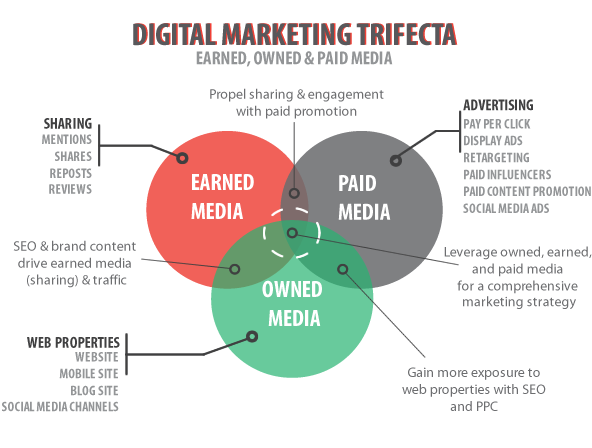 Collectively, a mixture of paid, owned and earned media will help your brand gain as much exposure and amplification as possible. Search engine marketing is critical to business website success. It's not enough to knock together a great looking website and wait for the customers to arrive. That's not what your successful online rivals are doing; they've likely engaged a search engine marketing company to ensure that potential customers find them quickly and convert to paying customers, instead of your company. The more routes you create for your target audience to find your products and services, the greater the piece of the pie you will gain in marketshare. 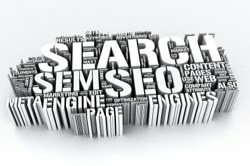 Which search engine marketing services do we provide to businesses? Why choose us as your preferred SEM company? We're a small search engine marketing company that achieves big results for clients. As an SEM company, our motto is 'be found, be understood, get results' – therefore, we bring more visitors to your website, ensure they find and understand exactly what they want once they've arrived, then contact you, perform an online action or buy online. This website visitor process is commonly called the "sales cycle" or "purchasing journey" and it's this approach we'll help you with, to entice your target audience to interact, engage and buy from you. So Contact us now to discuss your search engine marketing needs or find out more about us. As a search engine marketing partner, we don't just provide expertise directly to customers - we can work with other internet and marketing-based UK businesses. Often, marketing companies outsource their search engine marketing services to us, based on our excellent reputation for delivering results. Search engine marketing can be a time-intensive activity, which is why a lot of great websites are never found – because while the design and function can be top notch, either the time or expertise is lacking to carry out effective search engine marketing. As search engine marketing specialists we work closely with web designers and marketing agencies to deliver websites that are optimised for success, using website content writing, SEO and website usability. Partnering with marketing agencies, multimedia agencies and other SEO consultants by supplementing their skills with our own expertise in the search engine marketing field allows them to earn revenue from solutions that perfectly compliment their existing service portfolio. Contact Us now to discuss how we can work in partnership or to request a search engine marketing partner agreement form.